The U.S. Department of State recently issued a fact sheet to provide clarity and guidance for refugees coming to the United States after the Supreme Court decision on Trump v. International Refugee Assistance Project, No. 16-1436 (June 26, 2017). Sibling, whether whole or half. This includes step relationships. he following relationships do not qualify: grandparents, grandchildren, aunts, uncles, nieces, nephews, cousins, brothers-in-law and sisters-in-law, and any other “extended” family members. According to the fact sheet, a refugee who has a relationship with an entity in the United States that is formal, documented, and formed in the ordinary course will be considered to have a credible claim to a bona fide relationship with that entity upon presentation of sufficient documentation or other verifiable information supporting that claim. A formal assurance from a resettlement agency is not sufficient in and of itself to establish a qualifying relationship for that refugee with an entity in the United States. 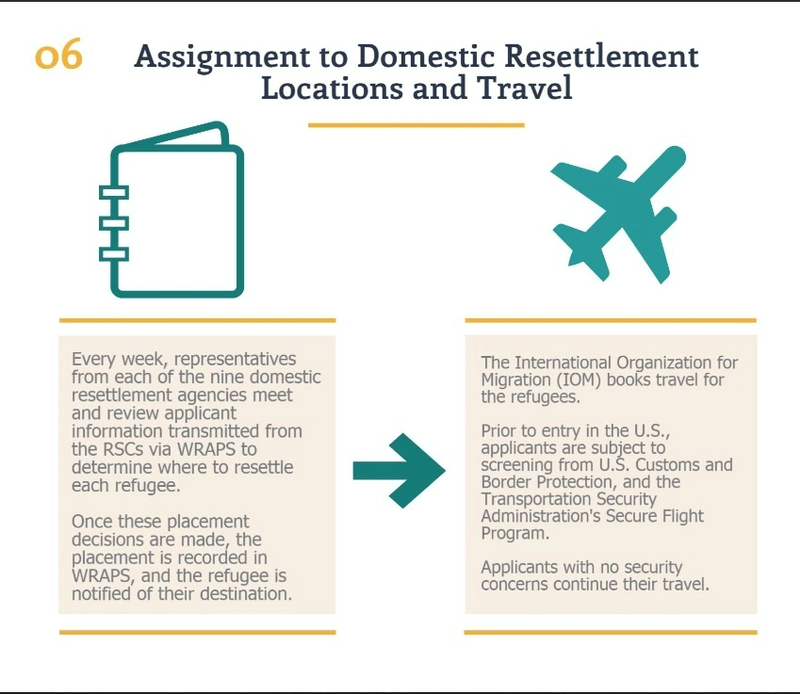 o learn about the Refugee Resettlement Process, view our slideshow above and follow this link for more information from the U.S. Department of State U.S. Refugee Admissions Program. If you have questions about seeking asylum in the United States, please contact us. We are here to help! Follow us on Instagram, Twitter, Facebook, LinkedIn and Tumblr, for up-to-date immigration news.